Tierra del Fuego, Spanish for Land of Fire, is a cluster of islands covering an area of about 18,000 square miles. The main island—Isla Grande de Tierra del Fuego—is divided between Argentina and Chile. 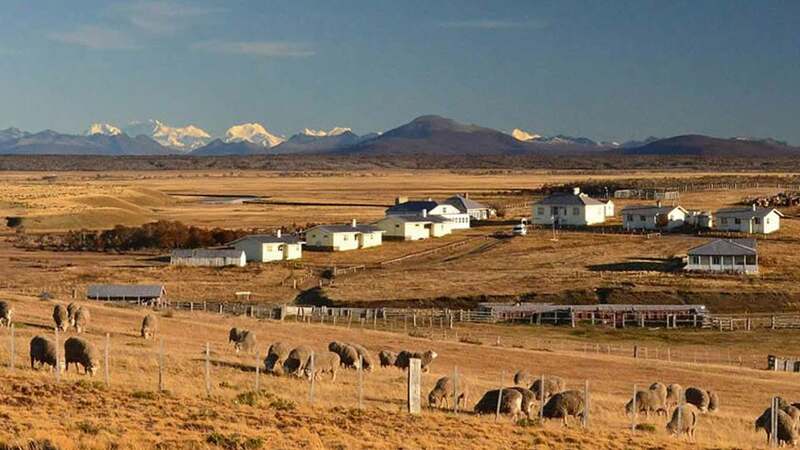 Estancia Cameron Lodge is situated on a large working sheep and cattle ranch, covering over 373 square miles of land. 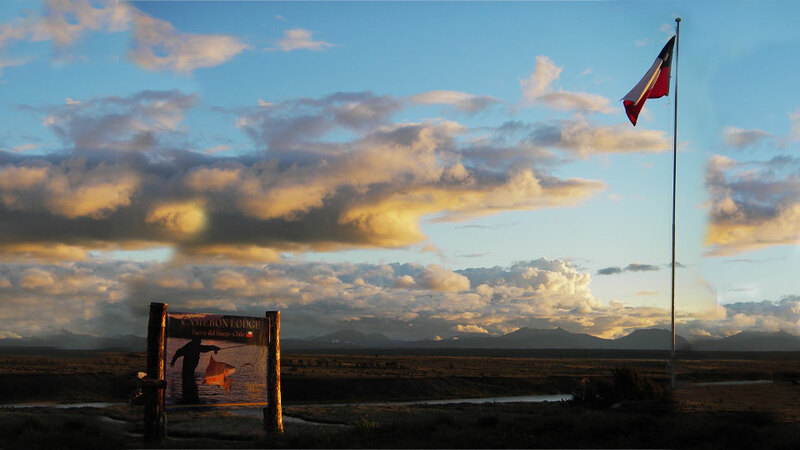 The Lodge overlooks the Darwin Mountain Range and is less than 100 yards from the Rio Grande. The Rio Grande is regarded as the best river in the world for sea-run browns. The largest and widest river in Tierra del Fuego, the Rio Grande originates in Chile and then travels west to the Atlantic on the Argentinean side. The Rio Grande is only about 30 meters wide, so, you’re able to fish both sides with a nine-foot fly rod. The river is also great spey rod water. If desired, the guides can teach you how to handle a double-handed fly rod. The Rio Grande is not for beginners, as the wind can blow hard and in some pools, long casts are required to reach the fish. The Lodge has access to up to 55-miles (90 km) of the Rio Grande. Sea-runs average 10-pounds in size. Many 18 to 20-pounders are landed here, with some reaching up to 26-pounds. All fishing is from shore, with no need for boats. 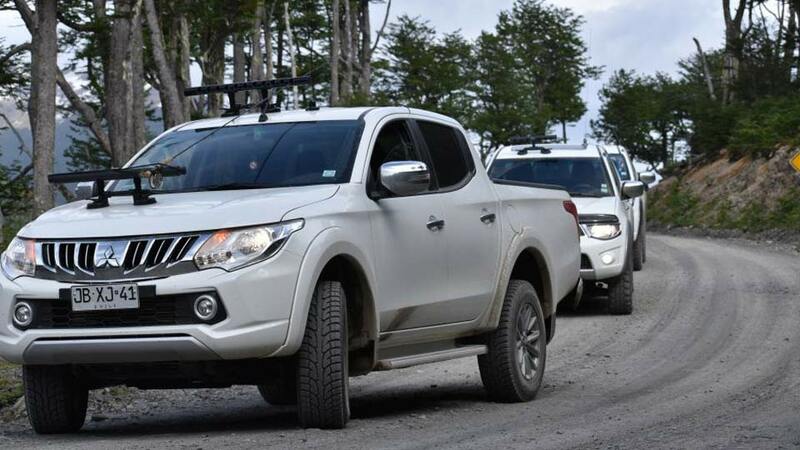 Guides drive you to the fishing areas via well-kept 4WD trucks. 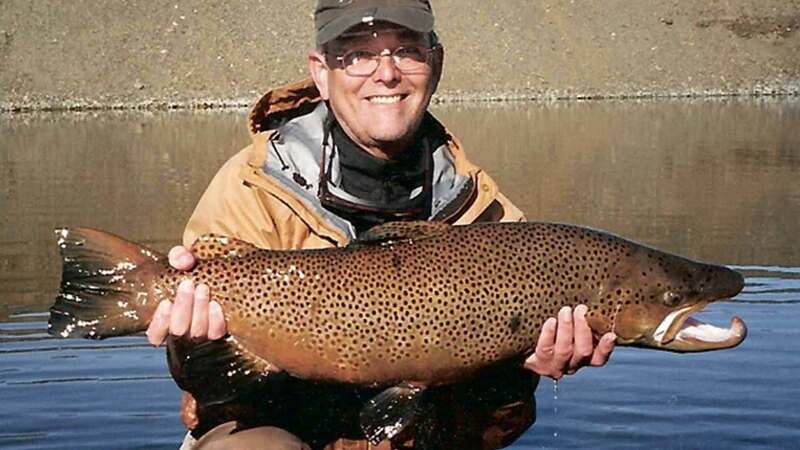 Cameron is the only lodge on the Chilean side of Tierra del Fuego with total access to the Rio Grande River, as well as access to other very productive lakes, creeks, and lagoons, where resident browns weighing up to 12-pounds reside. The Lodge is only a few minutes drive from some of the most productive pools. Night fishing is allowed. This means that you can stay on the water when the fish start rolling and taking and fish to your heart’s content. 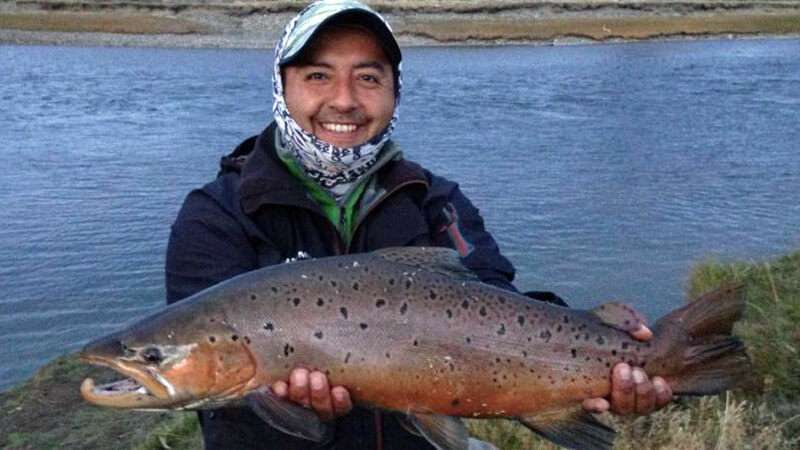 You can legally fish after dark in Chile; unlike Argentina. Cameron Lodge is open November through April. 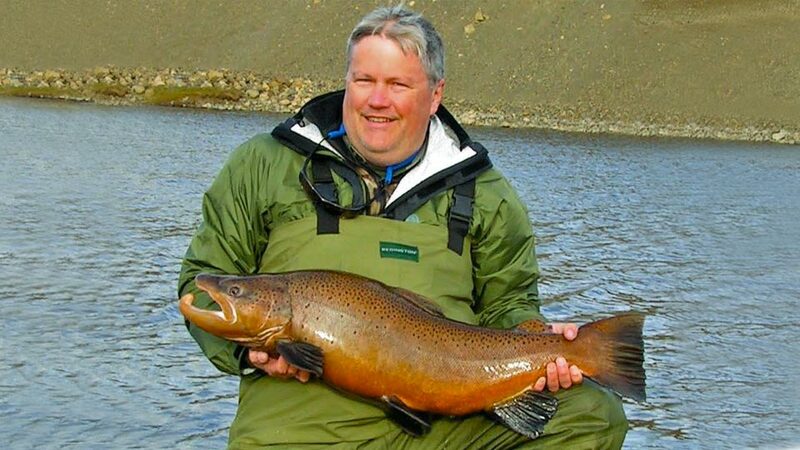 Sea-Run Brown fishing runs November through April with peak fishing from late February through April. 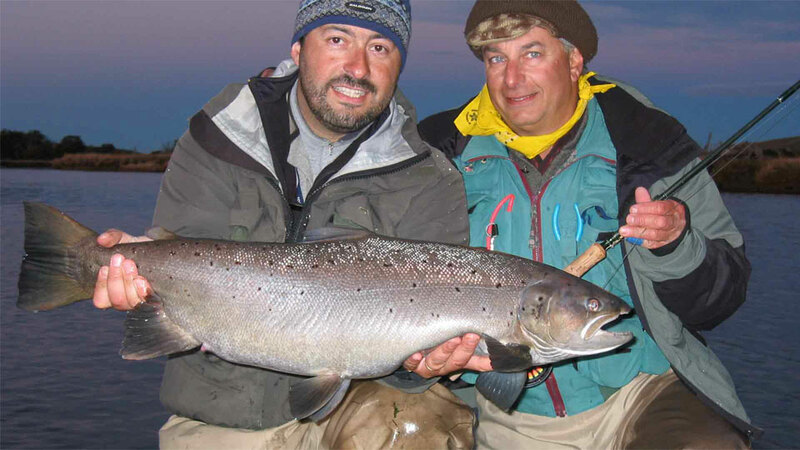 King Salmon Fishing: As of 2016, the Lodge offers guided king salmon fishing. They’ve had some promising runs in the past couple of years. In 2017, they caught them on flies; however, spin casting is also welcome. 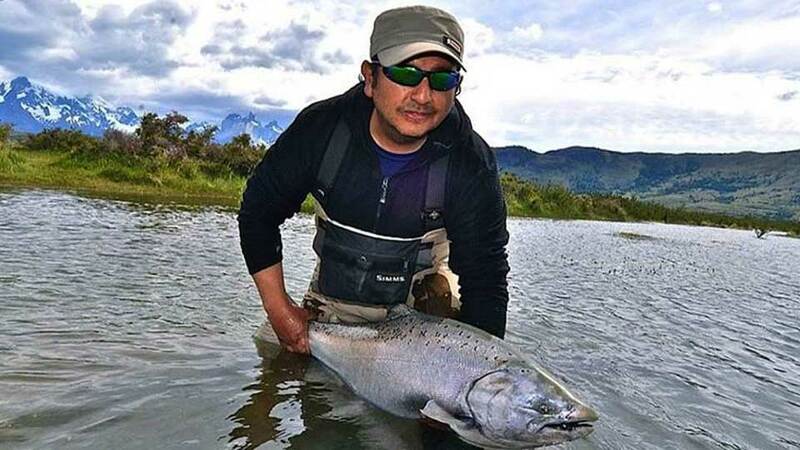 King salmon fishing peaks in November. 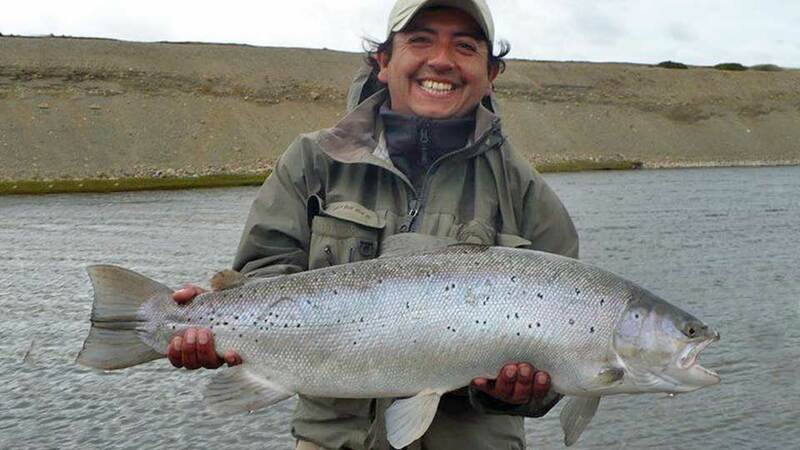 Guides: Two anglers per English-speaking guide. Whether you want to fish a small stream, lake or stay on the Rio Grande for the week – you call shots. Each evening, the lodge manager will discuss the options and then make a plan for the following day based on what you want. 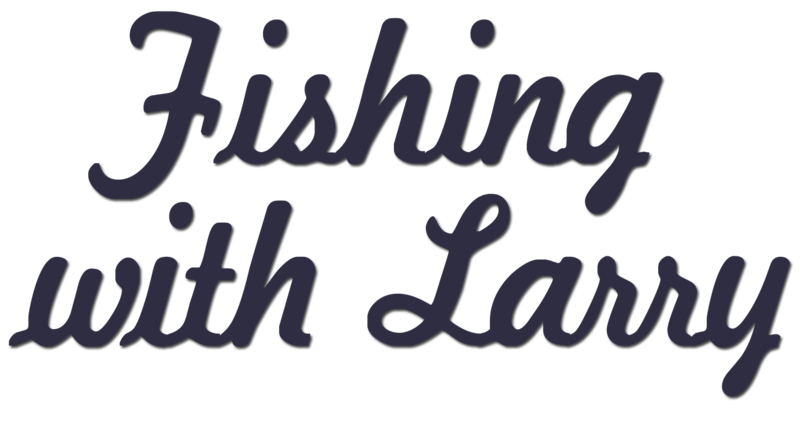 Fishing Rods: They recommend two-handed rods, not only for effectively covering the pools in big water years but also, and perhaps more importantly, to help combat the wind that usually blows downstream. The wind is a fact of life on the Rio Grande, and any advantage they can get in keeping the flies wet is welcome. Fishing Equipment: No tackle is provided. A detailed list of what to bring is provided in our confirmation packet. The recently refurbished lodge is less than a hundred yards from the Rio Grande River. The area is stunning. Here, you are close to the mountains, trees, flowers, and wildlife--such as guanacos, condors, even parakeet flamingos, foxes, and armadillos, if you're lucky. 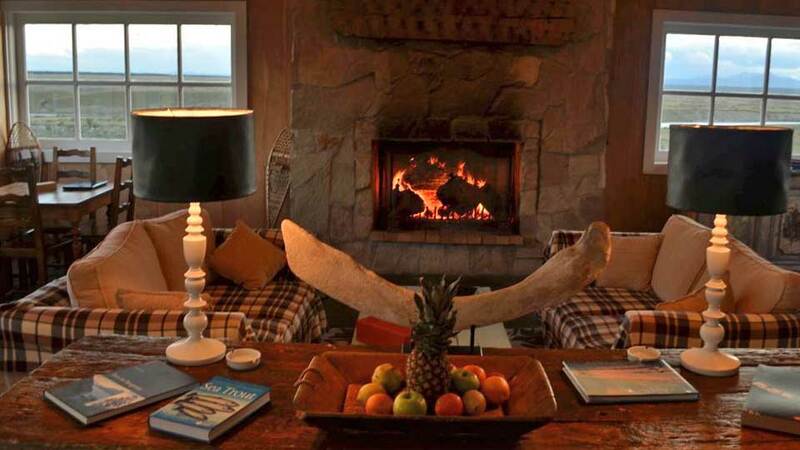 The Lodge has seven bedrooms with private baths and central heating. Meals: Regional dishes, seafood such as king crab, scallops, and beef or lamb asado (barbeque). Cocktails such as the typical Chilean Pisco Sour, and their famous Chilean wines, accompany meals. Power: The Lodge has diesel-generated electricity at 220 voltage. An adapter is required for U.S appliances. Communication: The Lodge has Wi-Fi and guests often use WhatsApp for outside calls. Other Activities include Kayaking the nearby rivers or lakes, visiting archeological places, photography opportunities... For anyone hankering for the gaucho-lifestyle, there are opportunities for horseback riding, nature spotting, to participate on the working farm where you can join in sheep shearing, cattle and sheep mustering. The best option is to fly to Santiago, Chile, and connect to Puntas Arenas on the same day—which is approximately a three and-a-half-hour flight. 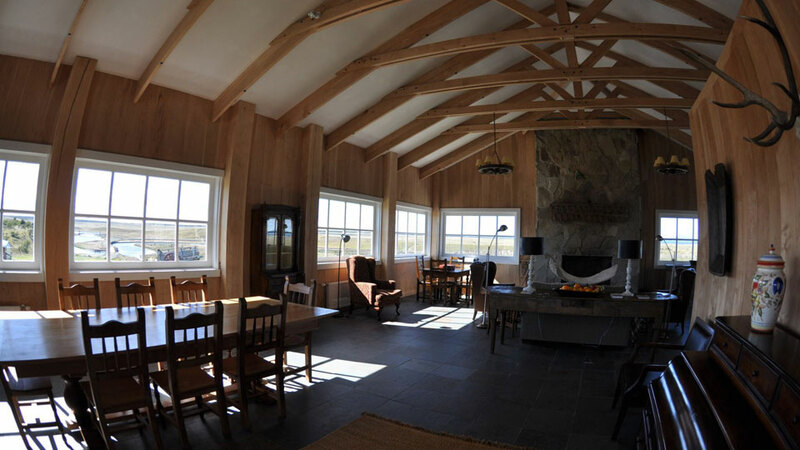 The Lodge staff will greet you at the Punta Arenas Airport and drive you to the Lodge in a heated/air-conditioned pickup truck, a six-hour drive. 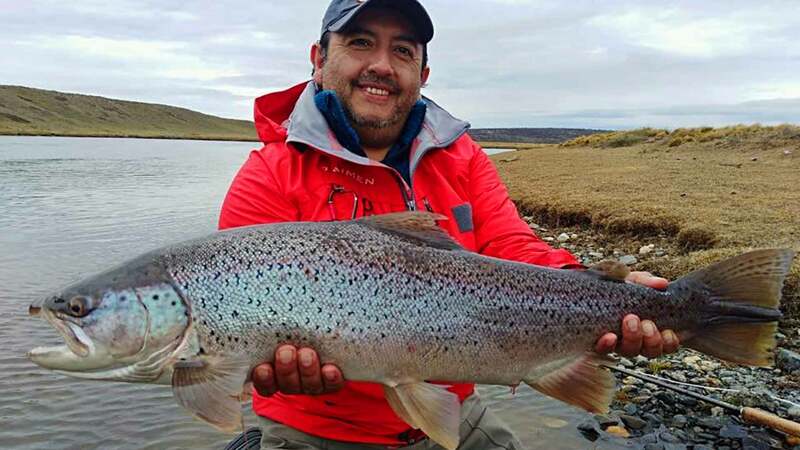 Ground transfers from Punta Arenas to the Lodge, all meals at the Lodge, snacks, Chilean wines, liquors, laundry, and guided fishing. International airfare, optional charter flight, extra days, gratuities, hotels and meals in Santiago or Punta Arenas, items of a personal nature, tackle and equipment, and anything not mentioned under inclusions. Fishing after dark is legal here -Jim Teeny (right).